Mega congrats on release day, Kate! I love that you stayed up to watch the change. Kind of like new years eve, yeah? Thanks. 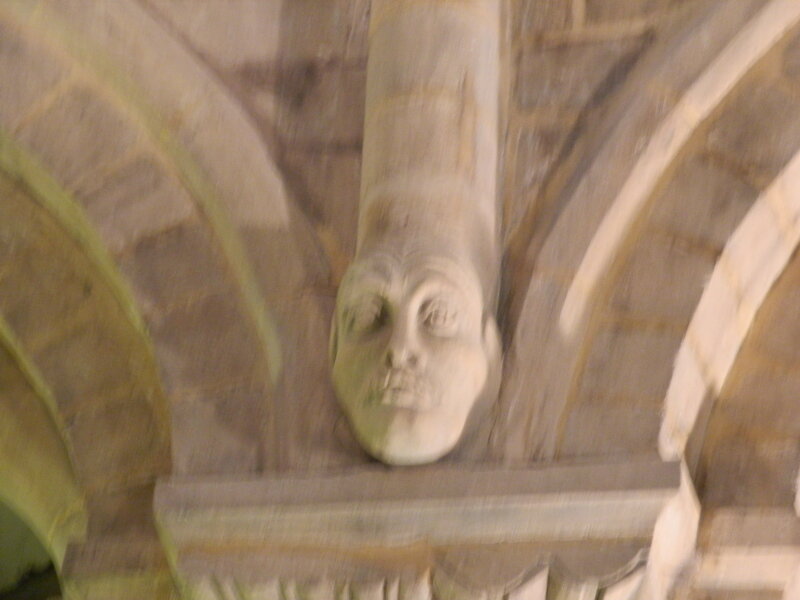 It’s a bit blurry at was near ceiling of church. This was in a church? It doesn’t look very deity-like. More like the plasterer did a self-portrait? No insult meant, It’s cool. It just doesn’t strike me as something that would be in a church. Love this! It reminds me of churches I’ve been in during travels in Europe. Thanks, Ciara. It is in Cambridge. I can’t believe I forgot to look yesterday. What a cool picture. Thanks for sharing the link. Interesting that it’s a Knight’s Templar kind of place brought to mind Tom Hanks with the greasy hair. Thanks for sharing.